Will Online Advertising Turn Into Rich Media Widgets? I've never liked banner ads much, or any of the conventional type of online ads you see most places. They are a relic from the days of print and don't make use of the many media technologies we have at our disposal. I've begun using a form of hand-coded widget for my sponsor Intel (see right). "We started the company in San Francisco in 1999 but then ran straight into the downturn so we had to regroup, move back into working from our apartments," said Peter Kim. "We had to change our mindset and we moved down to southern California. We've grown since then from 4 to 40 staff." Mr Kim says that an important aspect of the widget approach to online advertising is that the widget can be shared, and that the sharing can be tracked. Interpolls also hosts the widget content and pricing is fixed, that way if you do have a viral hit on your hands, you don't get billed for the millions of extra impressions etc. The content of the widget is usually developed by an outside agency but Interpolls has an in-house creative team and offers advice on best practices. 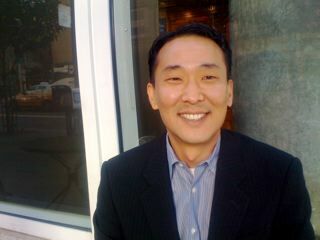 "The proliferation of social networks is perfect for rich media widgets," says Mr Kim. "We see people embedding widgets related to movies in their MySpace pages. And we've even found that if the widget includes an intstant message or email function, people will use that to contact their friends, something which we did not expect." There are a lot of widget creation companies around but Interpolls says its widgets are certified by the large social networks. For example, MySpace is very concerned with privacy and other issues. Widgets that don't conform to its specs risk being banned. Marrying rich media widgets to TV broadcasts is the next frontier, says Mr Kim. "We have to continually innovate to stay ahead."